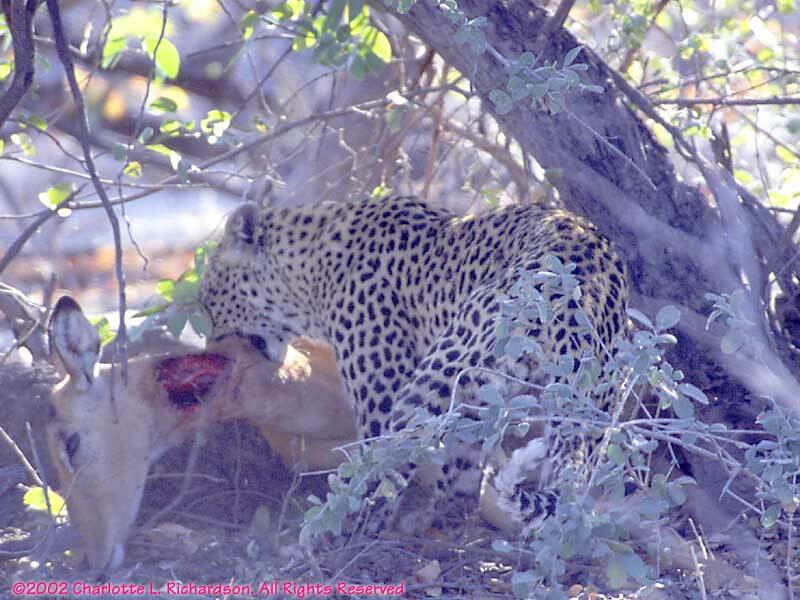 The "love bite" is part of the courtship. 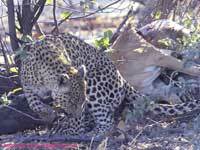 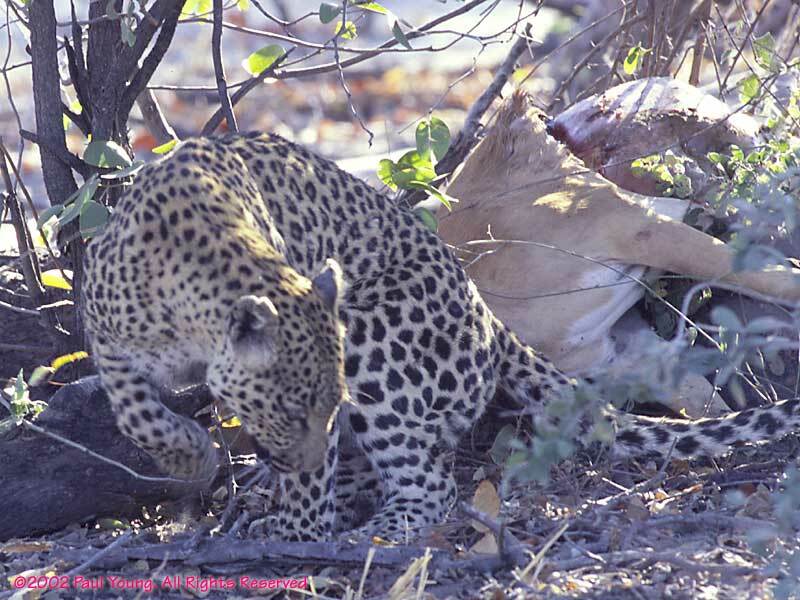 This mother leopard had killed an impala moments before we arrived. 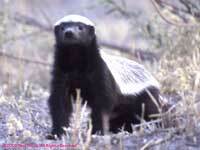 The ratel appeared around sunset. 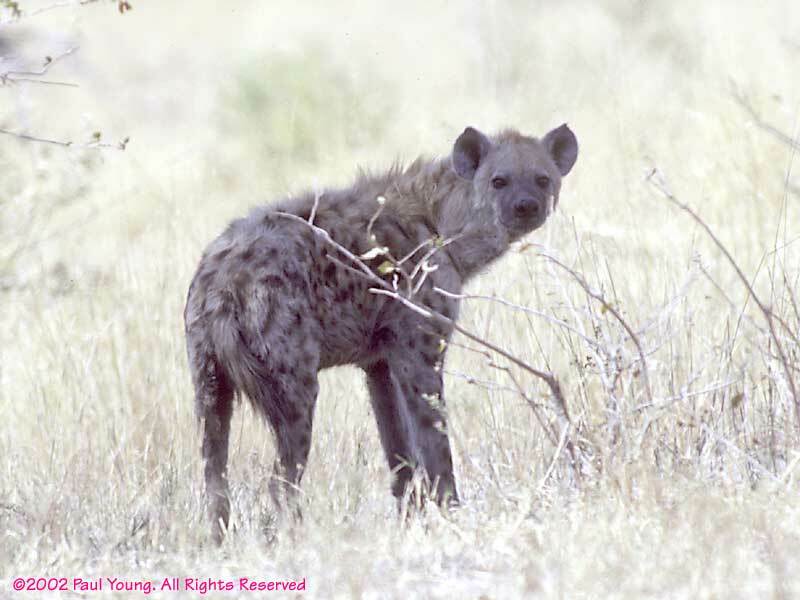 We approached within ten feet of this hyena - on foot. 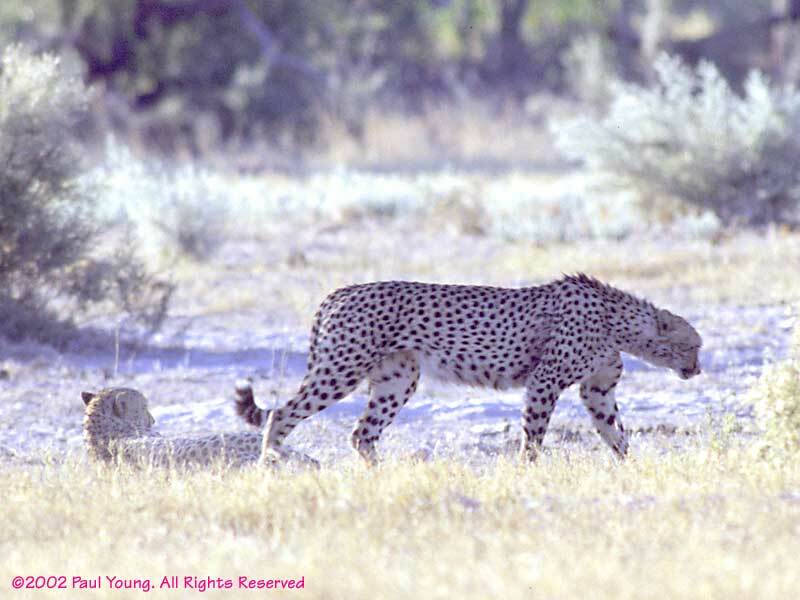 It paid no attention to us whatsoever, and walked right in front of us to reach a clearing in the brush where we saw it again later. 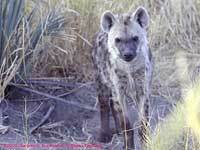 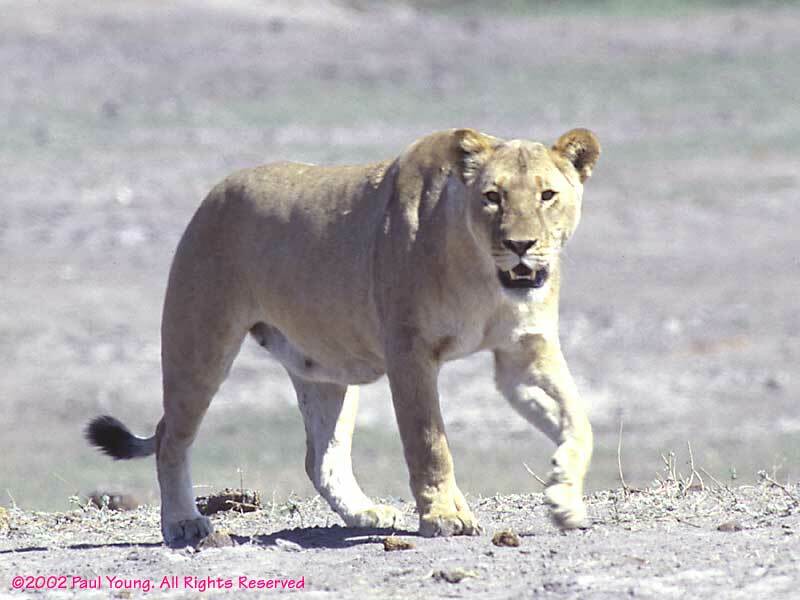 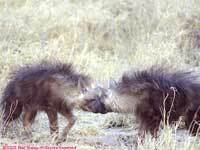 About five thousand of the endangered brown hyenas remain in the Kalahari. These two littermate cubs are greeting each other near their den. ©2002, 2015 Mermaid Underwater Photographic. All Rights Reserved.